Dogs are great–until their poop gets all over your new shoes. Even when dog owners responsibly dispose of dog waste, the excrement continues to generate methane, a potent greenhouse gas. 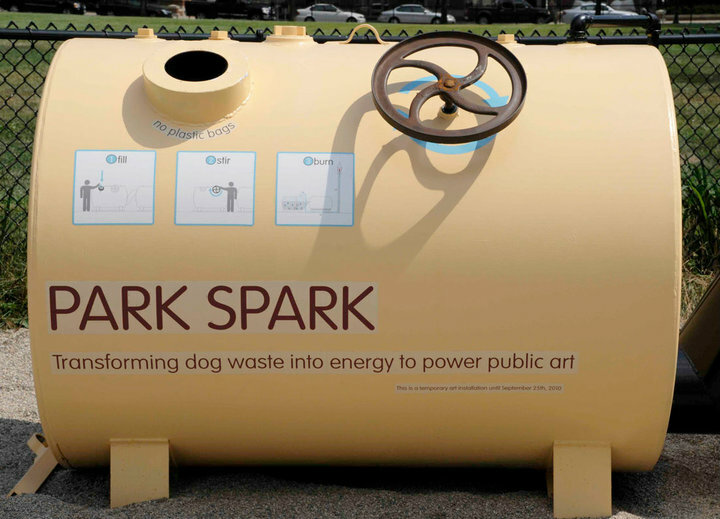 That’s where the Park Spark project, billed as the first public methane digestor for dogs, comes in. 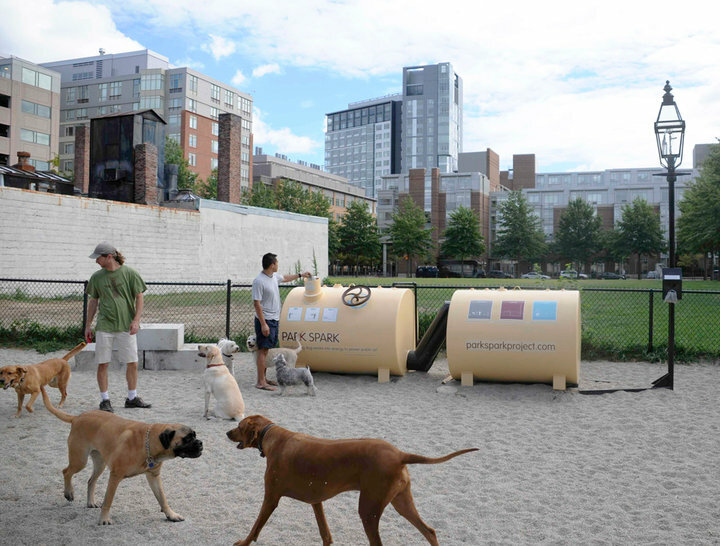 Unveiled this week in a Cambridge, Massachusetts, dog park, the project consists of a digester that creates burnable methane gas, which in turn powers a lamppost on site. All dog owners have to do is deposit their waste (placed in specially designed biodegradable doggie bags) into a feeding tube, turn a hand crank, and voila: Energy is available to juice up the lamp. Eventually, the Park Spark team hopes to extend the project to power other objects in the community–shadow projection boxes, tea houses, or even popcorn stands (poop corn?). The digester will never generate enough energy to power, say, a whole block of streetlights, but that’s not the point. If Park Spark can demonstrate to community members that waste is a precious resource, it will have fulfilled its goal.